If we are to meet our global climate change mitigation targets, we need biofuels in the future energy mix. In fact, we need all renewable technologies – and we need them fast. The IPCC has recently published a report stating that the global target for reduction in global warming should be 1.5 degrees, not 2 degrees, if we are to avoid the major consequences of warming. This highlights the importance of getting started now! The world has sufficient fossil fuels to meet its energy needs for some years yet, but we don’t have the time to wait for fossil energy sources to become exhausted. In this blog you can read more about biofuel subsidy schemes, whether we have sufficient biomass to manufacture biofuels sustainably, where we identify the greatest need, problems linked to availability and finally, about Norwegian, European and global biofuel plans. Read also: The gasification of biomass, combined with catalytic synthesis or heat and power production, is recognised as one of the most promising technologies that we can use in our efforts to meet the 1.5 degree target. Read more about our rig and related research. Biofuels have been promoted in the political sphere because production is dependent on subsidies that narrow the gap between production costs and market prices. The production of advanced, or so-called second generation, biofuels is even more dependent on effective subsidy systems because manufacturing technologies are as yet unavailable. Second generation biofuels are produced from raw materials that do not compete with food production, such as residues and waste products from the foodstuffs, agriculture and forestry sectors. In order for advanced biofuels to enter the market, subsidy systems must be stable, and be in place for long enough to enable acceptable levels of large-scale and profitable production, as well as the production of profitable side streams. Examples of side streams include chemicals or other by-products that can be sold at a premium. 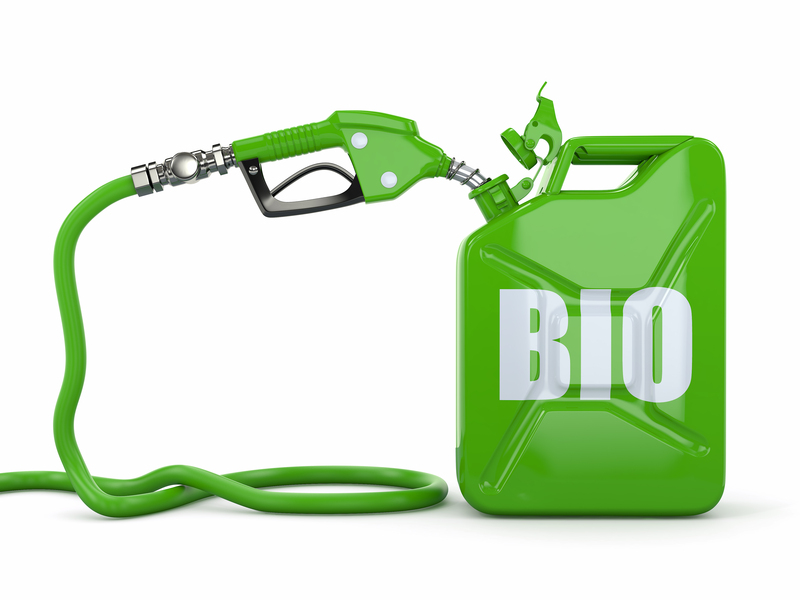 Do we have enough biomass to manufacture biofuels? Many people forget that bioenergy represents the greatest of all forms of renewable energy. In fact, it is as large as all other forms of renewable energy put together. For this reason, bioenergy is important, and will play a key role in the future energy mix. Biomass is used for many things, but today, half is used to generate heat and for cooking. There are many people who currently use and who want to use biomass in building and construction and in the manufacture of furniture, chemicals, paper and fibre. Recently, we have noted that the metallurgy sector wants to replace coal as a reducing agent. For example, the Norwegian company Elkem is aiming to have 40% of its reducing agents derived from renewable biomass by 2030, and 100% by 2050. Elkem traditionally uses coal-derived carbon to remove oxygen from quartz during its silicon production process. If we add this to a marked increase in biofuel consumption, there will be a great demand for biomass in the future. The world appears to have sufficient biomass, but fuel derived from this source must be produced sustainably and efficiently. Photo: Shutterstock. It appears that the world can produce sufficient biomass, but we must make sure that all production is sustainable. Advanced biofuels derived from forestry, agricultural and industrial residues and waste fractions can be produced in large volumes. However, the relevant technologies must first be commercialised. We can also identify new methods for increasing efficiency and preventing half of the carbon from being converted to CO2 and lost during the production process. There are some areas in which electrification is a great success, such as the Norwegian initiative to promote electric cars. We cannot run an electric cable to a remote location in order to charge heavy construction vehicles. Moreover, these locations commonly use fossil-derived diesel in order to generate electricity, which is thus not eco-friendly. There are also some sectors, such as aviation and marine shipping, in which transport is reliant on fuels that have a high energy density. They must make highly efficient use of space on board, and have to get as much energy as possible from every kilo of fuel. To a certain extent, long-distance transport is also dependent on high density fuels and rapid refuelling. Unfortunately, the fact is that the sectors that require biofuels most are those that are struggling most with availability issues. 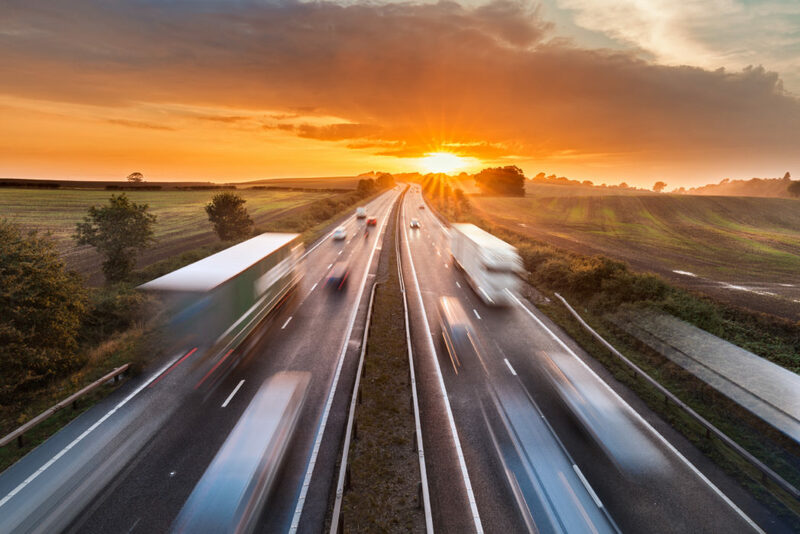 Biofuels are most commonly used in the road transport sector, where they are blended with petrol and diesel. Here, we should be aware that it is important to increase production volumes, especially when it comes to advanced biofuels. In trying to make very inexpensive biofuels compete with fossil fuels, there is a danger that production will become increasingly unsustainable. More globally-oriented sectors such as aviation and marine transport require global measures to tackle this problem, but these are difficult to put in place. Such sectors use much less expensive fuels, and this is especially true of the shipping sector. In trying to make very inexpensive biofuels compete with fossil fuels, there is a danger that production will become increasingly unsustainable. Biofuels have been tested in the aviation sector for ten years, and many certified methods for producing fuels from biomass have been identified. Norway is well advanced in biofuel use in the aviation sector. 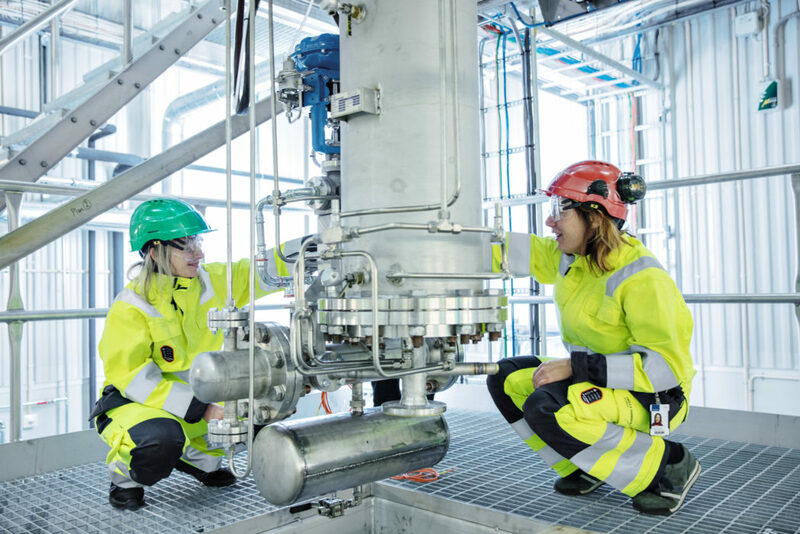 Gardermoen was the first airport in the world to blend biofuels into its central fuel tank facility. All aircraft that flew during the test period had a small proportion of biofuels in their tanks. The current challenge is that production volumes are insufficient, and this is why it is of particular interest to see if blending mandates can trigger production. In the case of marine shipping, both availability and price represent problems. Even though no regulatory framework is currently in place, the International Maritime Organisation (IMO) wants to achieve a greenhouse gas emissions reduction of 50% compared with 2008 values by 2050. In time, greater levels of global regulation within the shipping sector are anticipated in which biofuels will contribute to the solution. Strictly regulated areas already exist today in Europe and along the west coast of the United States, where it is envisaged that biofuels will be used first. In the case of the international shipping, the use of biofuels will not be a real option for some time yet because the sector continues to use very inexpensive fuels in non-regulated, so-called “no-man’s land” areas. Norway has resolved that by 2020, 20% of fuel sales must be of biofuels, and 8% per cent of these must be of advanced biofuels. Sales of advanced biofuels count double in relation to “standard” biofuels, so in fact this means that 4% of fuels have to be advanced biofuels. The Norwegian government has announced recently that from 2020, all aviation fuels must contain 0.5% advanced biofuels. This is equivalent to 1% if such biofuels count double. Both the EU and Norway appear to be promoting imports in preference to domestic production. They are setting quotas, but levels of ambition in terms of production implementation are low. We are going to be reliant on imports. For this reason it is important that Norway keeps a close eye on sustainability throughout the production chain, even though this may involve many different organisations. It is very positive that Norway has great ambitions and is using large volumes of biofuels, but we have to make sure that sustainability is maintained throughout the production chain. Europe has been working for some time to update the 2009 EU Renewable Energy Directive (RED), and the so-called RED II will be enacted at the end of the year. Following this, member countries will have 18 months to incorporate it into their domestic legislations. In the transport sector, this means that 14% of energy needs will have to be met by energy from renewable sources by 2030. This includes electrification. In general, RED II contains no specific targets regarding biofuels, but a target is included stating that in 2030, 3.5% of energy consumption shall be from advanced sources. The EU also wishes to phase out biofuels that are produced from “high-risk” raw materials, and to fix an upper limit of 7% for 1st generation biofuels. There is some uncertainty as to from where the EU envisages that these biofuels will be sourced. This is a good idea, but the EU is somewhat unclear on this point. They are not looking into how sustainable biofuels are beyond simply meeting the criteria. Sustainability depends on how the fuels are sourced, and this in turn is all about being, or not being, on the criteria lists. Of course it is important to differentiate, but this in itself generates a very imprecise legislative framework. I would prefer to see a less complicated system in which producer(s) have to demonstrate sustainable manufacture throughout the value chain. What is the status worldwide? The International Energy Agency (IEA) has prepared sustainable development scenarios and set targets for all industrial sectors. In the case of the transport sector, the agency states that in 2030, 10% of global fuel consumption must be of biofuels. This amounts to 251 Mtoe (Megaton oil equivalents). Currently, this figure is 3% (81 Mtoe) in the transport sector. In order to achieve our targets, we should be increasing production and consumption by 10% annually, in contrast to the approximate 3% increase that is currently considered realistic. When it comes to the production of advanced fuels, the IEA envisages that about two billion litres (1.4 Mtoe) can be produced in 2020, which is very little compared with our ambitions or needs. For this reason, we are calling for more stringent political measures.